Helen Clark, 37th Prime Minister of New Zealand, Chair of the United Nations Development Group. In this exhibition, Philip Grossman has documented the effects of the accident during his visits to the Chernobyl Zone of Exclusion. His photos remind us of the devastation and human suffering wrought by the tragedy, and of the heroism of the emergency workers who risked their lives responding to the accident. There is a strong expression of solidarity in his photos. Philip Grossman on an abandoned train at the Chernobyl site. A new Science Channel exploration doesn’t give us any definitive answers on what caused a Soviet nuclear reactor to explode at Chernobyl in 1986. But it plays with the idea of some provocative suspects, like the American CIA, and in any case, just strolling through the reactor site — which today looks like the set of The Walking Dead — makes for an offbeat and fascinating travel expedition. Philip Grossman’s seven year quest in the abandoned landscape of Chernobyl, Ukraine has the real life adventure feel of a Sherlock Holmes meets Indiana Jones. The Science Channel series, MYSTERIES OF THE ABANDONED: CHERNOBYL’S DEADLY SECRETS, premiering Thursday, August 31 at 9 p.m. ET/PT is a must see so start making the popcorn. MYSTERIES OF THE ABANDONED 9 p.m. on Science. The 1986 explosion at the Chernobyl nuclear power plant in Ukraine released more than 50 tons of radioactive material into the atmosphere. Cancer and other radiation-induced ailments took the lives of nearly 5,000 Soviet citizens in the aftermath of the accident. The engineer Philip Grossman has been investigating the cause of the disaster for seven years, following leads that suggest that it might have been more than human error. Almost 30 years ago a catastrophic man-made disaster echoed around the globe. The Chernobyl Nuclear Reactor melted down. There are still plenty of people around who remember seeing the fallout on the evening news, and the tragedies surrounding the ongoing containment efforts. I suppose teenagers today would say “Chernobyl who”, but there are so many lessons to be learned from those events. Philip Grossman of Colorado is one who believes in the value of learning from history, and has dedicated many years to filming and photographing the restricted zone surrounding Chernobyl. 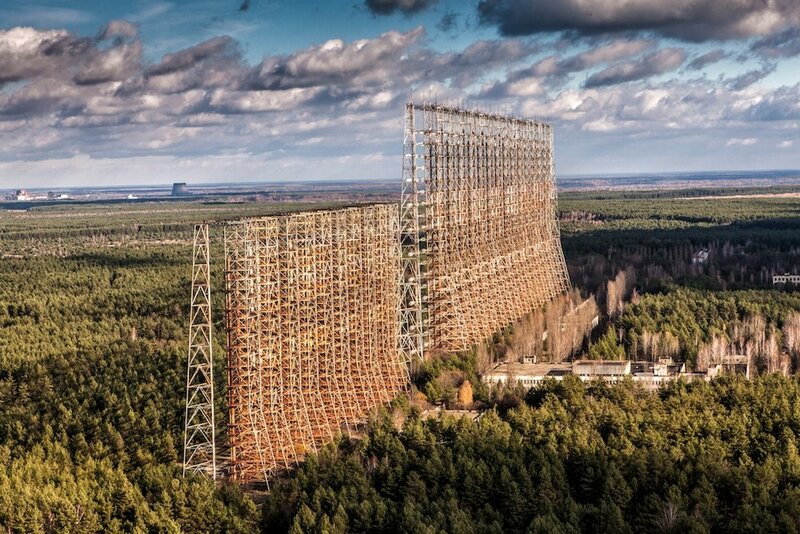 "Mysteries of the Abandoned: Chernobyl's Deadly Secrets"
For the past seven years, engineer Philip Grossman’s obsession has been the abandoned landscape that has developed out of the infamous nuclear disaster at Chernobyl. In 2015, he and his wife even got married there. Traveling there ten times, he is one of only a few people that have been allowed nearly unrestricted access to the highly dangerous exclusion zone, the area immediately surrounding the site of the 1986 nuclear reactor explosion. A view of the town of Pripyat and the Chernobyl Fourth Reactor. Chernobyl, the site of the world''s worst nuclear disaster, was closed down for good in December 2000. A fire and explosion at the Chernobyl nuclear plant on April 26, 1986 led to the world’s worst nuclear accident. The video was shot by Philip Grossman of ExploringTheZone, a former architect who grew up about 11 miles from the Three Mile Island nuclear power plant in Pennsylvania, which had a partial meltdown in 1979. He was in third grade when the accident at that plant happened. The exhibition received its name – ‘500,000 Voices of Chernobyl’ – from the number of people who were involved in the recovery efforts. The photos were taken by Philip Grossman during his several trips to Ukraine to the Chernobyl Nuclear Power Plant. The photographer plans to visit Belarusian Palessie State Radiological and Ecological Reserve. Philip Grossman is the author of the photo exhibition “Chernobyl: tragedy, lessons, hope” organized with the support of Belarus at the UN Secretariat in New York in April 2016. Vladimir Makei told the American guest about the large-scale efforts undertaken by Belarus to mitigate the Chernobyl impact. The meeting also discussed the international relevance of Belarus’ unique experience in the rehabilitation of the contaminated territories, restoration of socio-economic activities and ensuring safe living conditions for people in the affected regions. 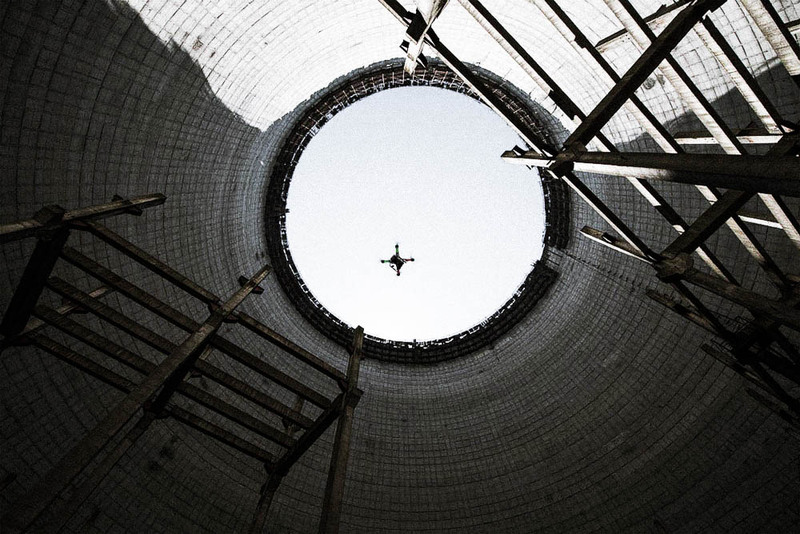 Phil Grossman has been using drones to map a more recent ruin: the Chernobyl nuclear meltdown site in Ukraine. “The project started nearly 5 years ago primarily as a photo project,” he said. Since then, Grossman has been piloting drones through the abandoned area. DJI just published this trailer from filmmaker Philip Grossman, a friend who I met earlier this year at NAB who told me to keep a close eye out for a project he was working on. Philip and his fiancé left home for Chernobyl’s Exclusion Zone on May 27th of this year, completing 5 years of location photography for the upcoming documentary. This is the most recent in a series of videos Philip has been producing en route to his full length documentary, and it’s nothing short of spectacular.